I am attempting to type up this recipe straight after a home yoga session I just done...my arms are shaking and I keep making typos. I can't even lift up a bloody water bottle! Anyway, FOOD. 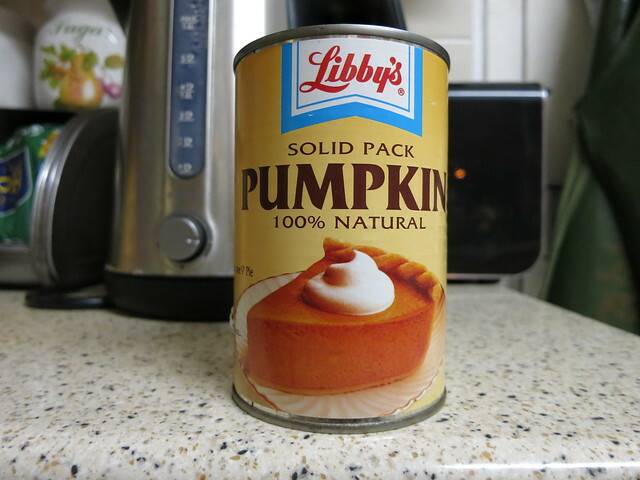 Halloween is just round the corner which means it's Pumpkin season, which also means Libby's Canned Pumpkin Puree is back in stock in Waitrose!! As far as I know the American Thanksgiving kitchen staple is only available around this time of the year in the posher supermarket, Waitrose. You can get it off Amazon all year round, but it's a little pricier. So my advice, if you want to have pumpkin goodness (PUMPKIN PIE YO!!) all year round, stock up your cupboards. It costs £2 a can but the goodies you can make are endless, plus it's DE-RICIOUS and the vintage packaging is everything. Mixed with spices and it makes your kitchen smell like Christmas! 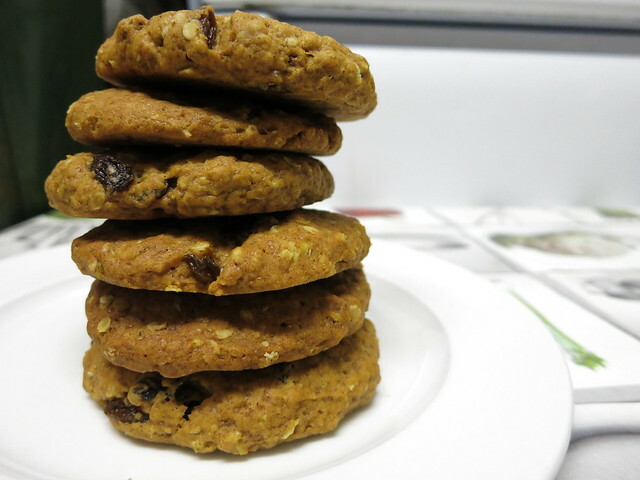 Last night I opted to make some simple festive oat cookies. My sister likes to call everything I make bird food because a. I always use oats and b. I always use raisins LOL. This cookie recipe has everything I love: a seasonal ingredient (check out my fig rolls too), spices, and those 'bird food' bits. This is my first attempt at making this and it tasted GREAT. 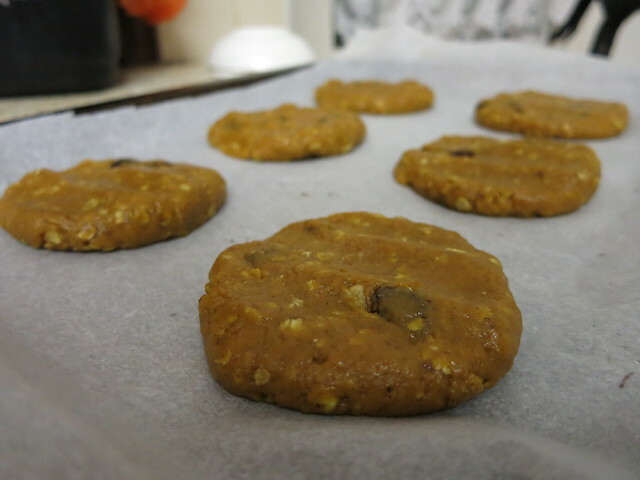 So good that this recipe made 12 cookies last night, and this morning only 1.5 remained. It's not the healthiest recipe, but you can easily replace the sugar for an alternative sweetener :). It takes about 15-20 mins to prep, 20mins to bake and requires zero kitchen skills. 2. 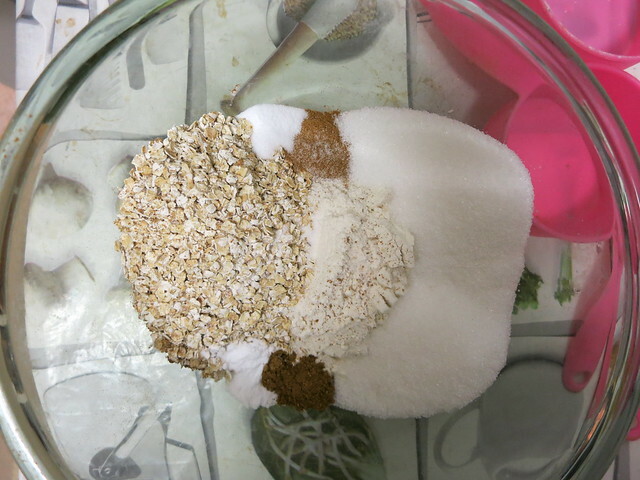 Grab a medium sized bowl and combine all your dry ingredients: flour, oats, sugar, cinnamon, mixed spice, baking powder and salt. Stir it up and ensure it's all mixed evenly. 3. In a separate bowl combine the wet ingredients: pumpkin puree, honey/maple syrup, vanilla extract and oil. Whisk it to blend it all together until you get gloopy, orange mixture. It doesn't look amazing, far from it, but it will taste amazing, promise! 4. 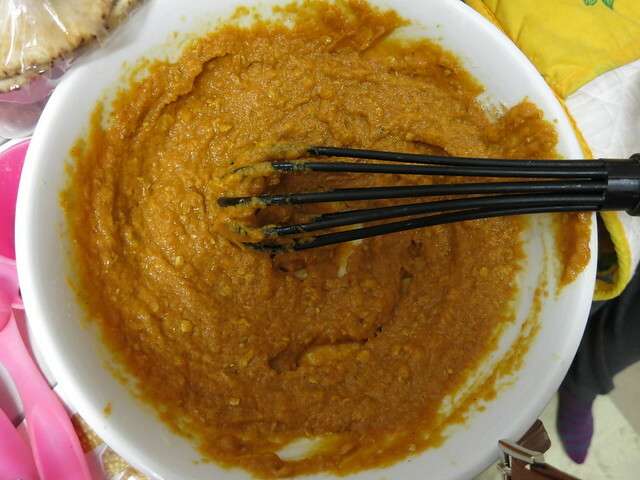 Using a spatula, gently stir the dry ingredients in the pumpkin mixture. Gently does it, otherwise it will go EVERYWHERE, trust me! 5. 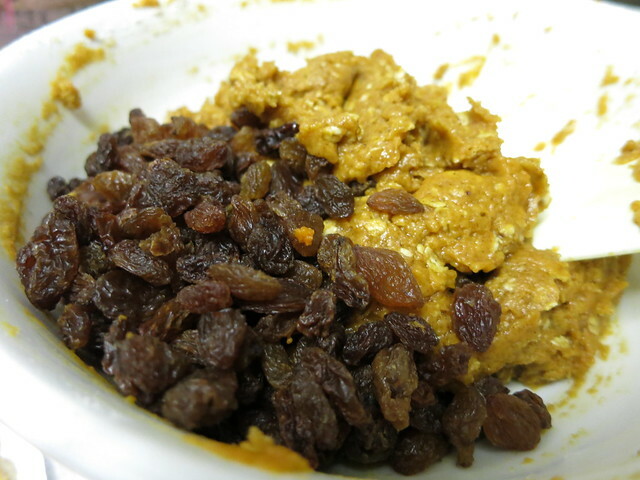 Add the raisins into the mixture and keep stirring until you have an even amount of raisins everywhere. 6. Use a tablespoon to measure the cookie portions. Spoon one tablespoons worth into your palms and roll into a ball. 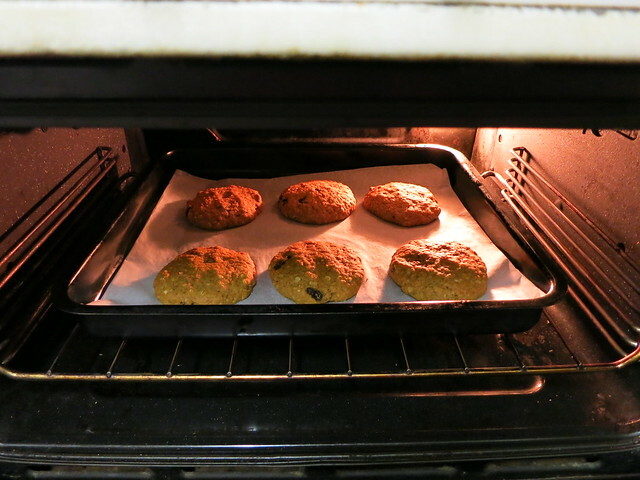 Place each portion on the baking tray, make sure there's about a one-inch gap between each cookie. 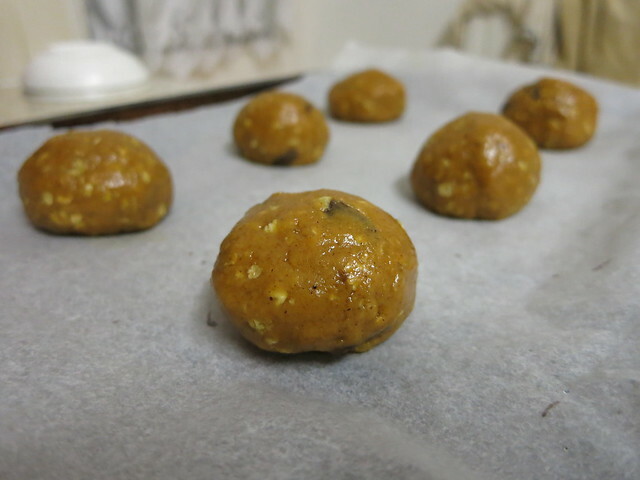 Next, use your fingertips to flatten each ball into a two-inch diameter - they will expand in the oven! 7. Stick it in the oven for about 15-20mins until it's brown, give it a cheeky poke to ensure they are fairly firm. 8. Leave to cool before serving and there you have it, festive hearty cookies. Be sure to bask in the lovely smell of the kitchen too! We love it when you guys use our Food and Lycra recipes, so if you do make something take a photo of it and #foodandlycra! We'll repost and retweet them all!